A single Knightia Eocaena fish on matrix backing stone. These come in a few different sizes, and are measured by the matrix stone rather than the size of the fish itself. 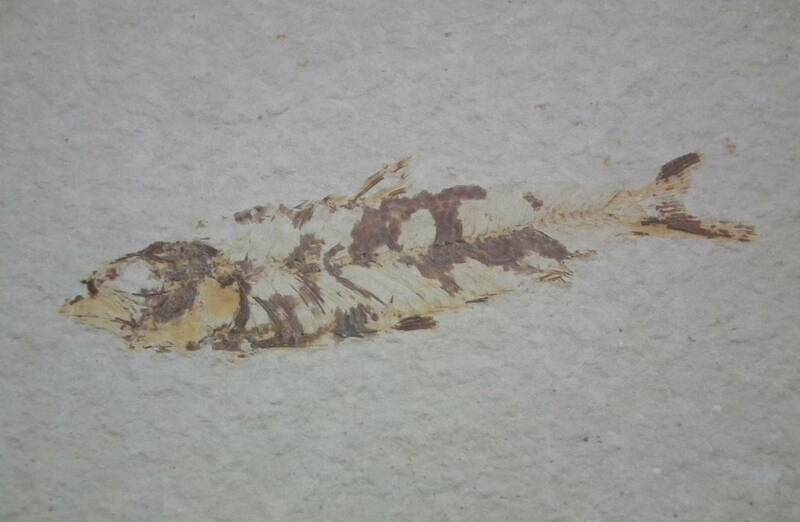 A single Knightia Eocaena fish on matrix backing stone. These come in a few different sizes, and are measured by the matrix stone rather than the size of the fish itself. Obviously, the larger the matrix stone, the larger the fish. However, we can’t guarantee the exact length of the fossil itself. As a natural fish has been fossilised, every single one of these fossils is different. The colours, the level of detail that has survived, the size and shape – no two are ever alike. We can also supply Knightia Eocaena ‘plates’ with multiple fish on each specimen – or much larger, display grade fossil plates. Please contact us regarding current availability on these pieces. 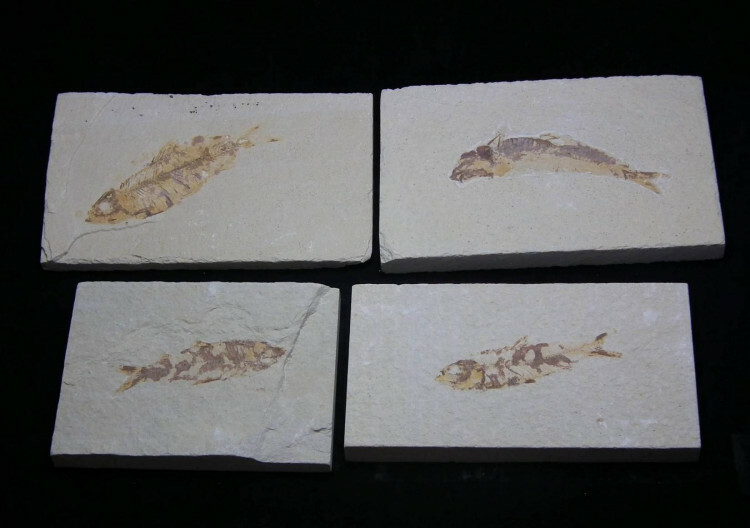 For more information about fossilised fish, and a full list of our related products, please see our main ‘Fossil Fish’ section.